In brief: The iPhone X is back up for sale on the Apple store. You can grab a refurbished iPhone X for $769 which is almost the same price as a new XR ($750). The iPhone X is smaller and less powerful than the XR, but packs a much better screen and camera. Apple is putting 2017's iPhone X back on the market, selling refurbished handsets for roughly the same price as the newer iPhone XR. Starting at $769 for the 64GB version, the iPhone X is now the cheapest way for iPhone fans to get a dual camera and OLED screen. If you're in the market for an iPhone but don't want to dish out almost a grand for the iPhone XS, Apple is giving you a choice between the X and the XR. So which to choose? The iPhone XR is slightly less expensive at $750, packs the latest A12 processor, and a 6.1-inch retina display rocking a 1792x828 resolution at 326ppi. The iPhone X is using the previous-gen A11 processor and packs a smaller 5.8-inch AMOLED display. But the X also features a better camera, a higher resolution (2436x1125, 458ppi), and the AMOLED screen is much sharper and more color accurate than the XR's retina. Both are IP67-certified and running the latest version of iOS 12. Essentially, if you're looking for strictly the best performance at this price point, go with the XR. But if screen and camera quality mean more to you, the iPhone X is still the better choice. Buying new versus used is a matter of personal preference, but given that these phones are factory refurbished and given Apple's testing and quality assurance standards, the used iPhone X is likely a safe bet. 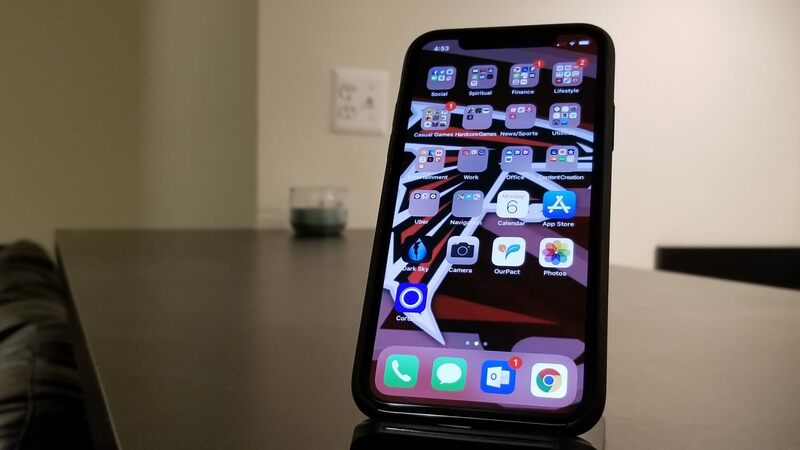 Apple is likely burning inventory of traded-in iPhone X models from users who exchanged them for an XR or XS last year, so don't expect the X to remain up for sale indefinitely. If you're in need of more storage, the 256GB version of the iPhone X is also available for $899.